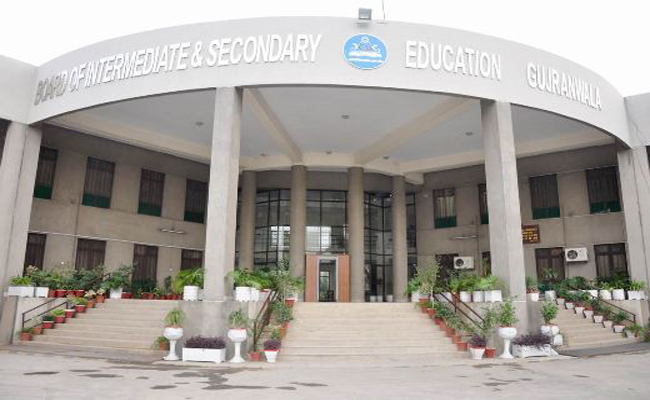 The Board of Intermediate and Secondary Education Gujranwala Board is the official body to commence the Annual Examination of the Intermediate 11th/12th class and Matric 9th and 10th Class every year. Recently Bise Gujranwala Board has announced their Date sheet 2018 for the 9th and 10th class. Gujranwala Board 9th and 10th class date sheet announced before a month ago from the annual examination commencement and Gujranwala board matric 9th and 10th class exams will be starts from the 1st week of March and their result will be announced in the month of August 2018. Students have not sufficient time to waste so they should stat their exams preparations and set the schedule and follow that. We are suggesting you that you should follow our testing service because its pattern made according to the Board Examinations. After the Date Sheet announcement all students want to get the Sample Papers, Model papers, Guess Papers, and Solved papers, But our testing service providing you complete your requirements when you start test then you do not need to pattern because test are made according to the paper pattern, and you can solve these test as a sample, and after complete the test attempt when you will click on submit button then you will get you result (score) and will get answer of the all question like solved paper. Here you can get online testing service of all your subjects of 9th and 10th class for your preparations of the annual examination you must attempt the test answer the questions with just clicks and click the submit button then you will get instant result about you preparations that how much you are prepared for you annual examinations and how much you should. Our gotest.pk testing service is meeting you complete requirements So you don’t think more and don’t waste your time start your preparation with us. It is the Pakistan’s best Educational and Testing service that is providing you latest educational news as well. Sir Pak Studies Ka Paper Ni Hona. Upr 9th class k papers mn pak studies Nhi Ha.Plz Sir Tell Me.